We knew that President Obama got his iPad 2 early, right from the hands of Steve Jobs and we’ve seen it crop up in casual shots of the president around the White House. Now, we know what case he prefers as well. 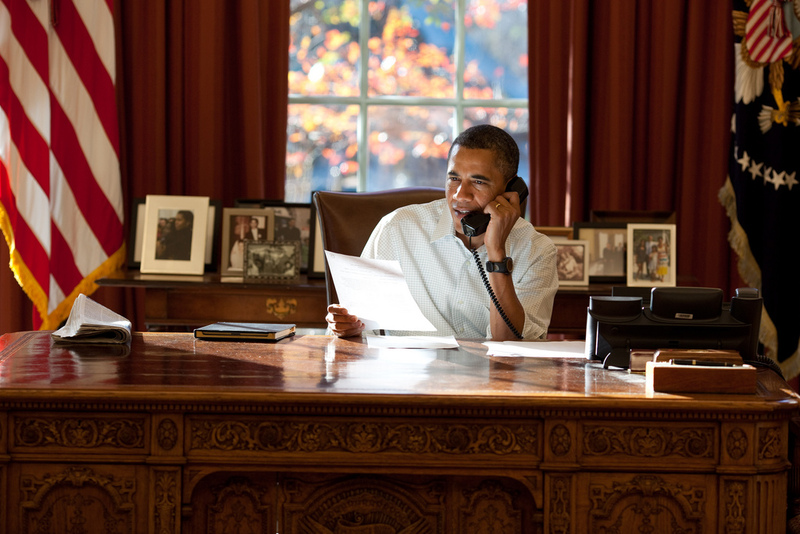 This shot of the President was released via the White House Flickr account, showing the man making his Thanksgiving Day calls to U.S. Troops from the Oval Office. Sitting on the desk next to him is what looks like a book, but is in fact an iPad wrapped up in a DODOcase. When PoliticalWire spotted it, they thought it was a DODOcase, but we weren’t sure, so we hit the case maker up directly and they said that yes, it was one of theirs. We’ve reviewed the DODOcase here on the Next Web and found it to be a very slick offering for the iPad 2 that helps it blend in. Looks like the Commander in Chief agrees.